Instituting comprehensive primary care across Maryland. 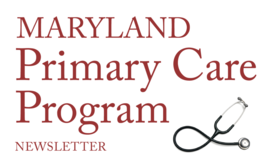 This is the final issue of the State’s Maryland Primary Care Program (MDPCP) newsletter. I hope you have found the newsletter informative and helpful as we prepared for the launch of this program. Beginning in 2019, we will merge our newsletter with the MDPCP Learning System newsletter called “MDPCP Today.” This will go directly to the email inboxes of identified MDPCP program participants. The jointly-prepared newsletter will continue to provide meaningful updates and news related to MDPCP on a monthly basis. Over the past several days, the practices selected to participate in Performance Year 1 of the MDPCP have received their notification via email from the Center for Medicare and Medicaid Innovation (CMMI), along with attachments that require completion and submission back to CMMI. These documents must be submitted no later than Friday, Dec. 21. Failing to get the documents submitted in a timely fashion can jeopardize your admission to the program. CMMI has also published a list of application ID numbers for accepted practices to allow applicants to learn their status as soon as possible. Practices that do not see their application ID number listed should assume their application has been deferred for 2019 program participation. This list does not include specific reasons for deferral; practices that have not been accepted for Performance Year 1 will receive letters from CMMI this week detailing the reasons for deferral and suggesting opportunities to update their status prior to application for Program Year 2. The State MDPCP Program Management Office (PMO) will reach out and be available to help deferred practices develop strategies to qualify in Program Year 2. It is our intention that every willing and qualified primary care practice participate and be successful in the MDPCP. As a reminder, there are five additional open enrollment periods for the program through 2023. The next open enrollment will begin in late spring 2019. CMMI will maintain prior applications on file to expedite the application process. For practices that have been accepted, you will soon be contacted by your Care Transformation Organization (CTO) and/or our Coaching Staff to launch your MDPCP work. I know you are as eager as we are to begin the process of transforming to Advanced Primary Care. Meanwhile, I would like to wish you, your staff, and your families the best during the holidays. 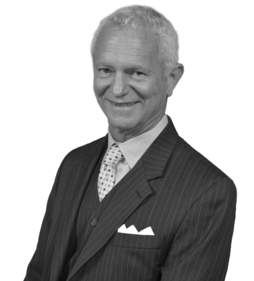 CMMI has released a list of practices that have been accepted into the program. Please view the full list to confirm your practice's status. Accepted practices should have already received a series of emails from CMMI regarding next steps and onboarding materials. If you do not see your practice ID listed, you should assume your practice site’s application has been deferred for 2019 program participation. Deferred practices will receive a letter from CMMI in mid-December confirming their deferral status and a brief acknowledgment of why their application did not meet requirements. In early 2019, the State will reach out and engage with deferred practices regarding how to prepare to re-apply for upcoming Performance Years. For further questions about your application, please reach out to CMS at MarylandModel@cms.hhs.gov. Accepted practices should have received several email communications from CMMI detailing next steps. Practices should check their spam folders and make sure MarylandModel@cms.hhs.gov is added to their safe senders list. Please keep an eye on your inbox for important emails regarding the specific items below. The PMO will host one final webinar before the MDPCP launches in January. Led jointly with the CMMI Learning System team, this session will provide an overview of Learning System resources that will be available to program participants beginning in January, along with an overview of final administrative onboarding items. MDPCP Webinar: Introduction to the Learning System​ — Thursday, Dec. 13, 5 to 6 p.m.
Slide presentations and recordings of webinars held in recent months are also available on our website under Practice Education Sessions. For more information about the MDPCP, educational resources, and a calendar of upcoming events, visit our website. For questions, please reach out to marylandmodel@cms.hhs.gov or call 844-711-CMMI, and press Option 7 for MDPCP. Update your subscriptions, modify your password or email address, or stop subscriptions at any time on your Subscriber Preferences Page. You will need to use your email address to log in. If you have questions or problems with the subscription service, please contact Help. This service is provided to you at no charge by Maryland Department of Health.